Our Orphan Skeins are leftovers from kits, high quality yarn of which we only have a very few skeins left, sometimes only one of each color. Thus they are discounted, at least 15%, so they can find good homes. 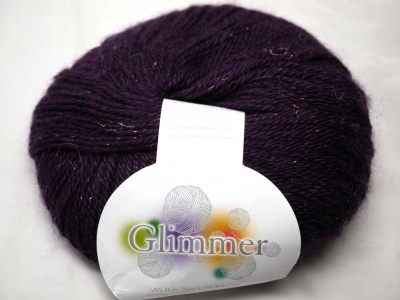 This is a lovely yarn called Glimmer from The Alpaca Company. 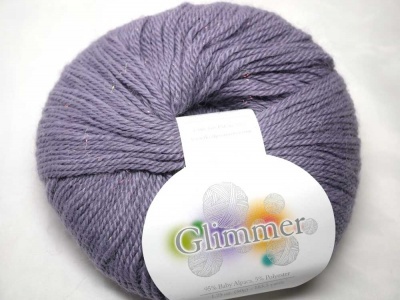 Glimmer is baby alpaca enhanced with a hint of iridescent holographic fiber. 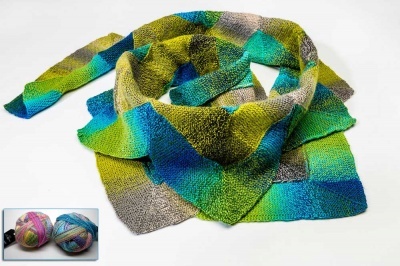 The iridescent fiber adds drama and highlights to your knitting project. 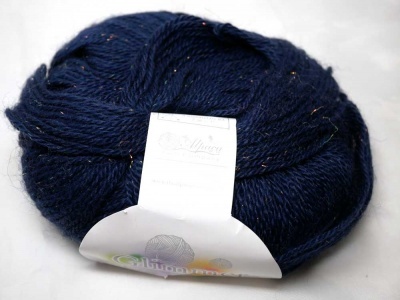 The specific fiber content is 97% baby alpaca & 3% polyester. Each 50 gm ball is approximately 183.5 yards. 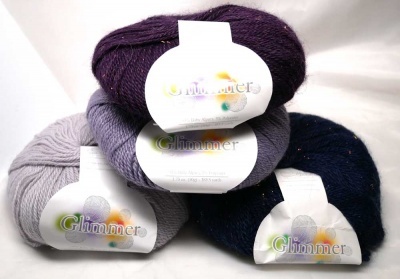 The yarn has marvelously subtle sparkles in varying colors -- not overwhelming but rather subtle. It sacrifices none of the softness of the alpaca and yet adds quite a wonderful look, without being overwhelming or cheapening it in any way. 1. Midnight Blue is a deep navy with glimmering metallic threads in gold and copper with even a few threads of green and red. 2. Purple Mountain Majesty is a very deep purple, with the same glowing threads. 3. 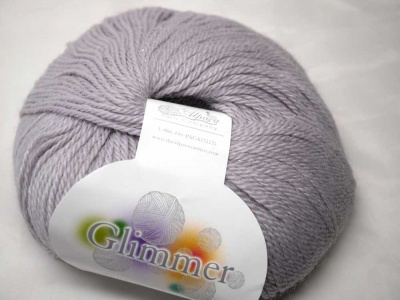 Hyacinth is a pale lilac color with the same holographic threads. 4. Cloud Gray is a lovely pale gray and it has the metallic threads though they don't stand out as dramatically as with the darker colors.